Al Faisal Holding, one of Qatar’s leading private companies, has signed a five-year agreement with SAP, the market leader in enterprise application software, to deploy SAP business solutions. These solutions will enhance the integration of Al Faisal Holding’s operations as the Group continues its strategic expansion across a number of different sectors. Clariba — an independent, analytics consultancy — creates new business unit, Office of the CFO, that builds on Clariba’s considerable strengths in data warehousing, big data, business intelligence and advanced analytics to provide solutions devoted to CFOs and finance teams. Christophe Machinet has joined the company as general manager for the new business unit and will be responsible for the division’s growth. Clariba — an independent, analytics consultancy — relocates its Barcelona office to a larger location in Barcelona center city to accommodate its European growth and expand its facilities for its Clariba Academy Bootcamp program. ¿Qué es Data Discovery? ¿ Qué es el self-service de BI ? ¿Qué es SAP Lumira? Descubra con nosotros los beneficios que proporciona esta útil y dinámica solución de negocio en la próxima conferencia web de Clariba en 30 de Septiembre. 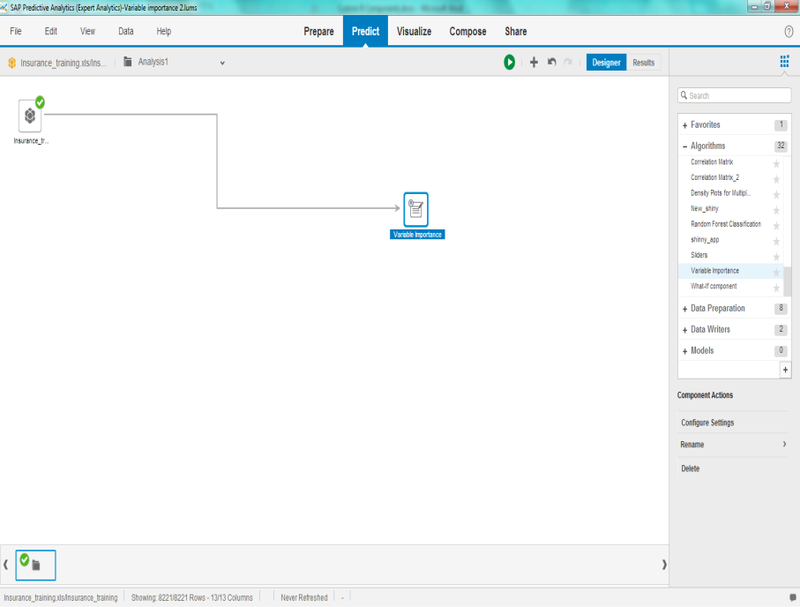 As a SAP BusinessObjects Design Studio SDK developer, I always faced the limitation of having only one data source on my components, but now with SAP BusinessObjects Design Studio 1.5 the option of binding a data-source to a property on any component (SDK or out-of-the-box) that limitation no longer exists, and here is how to overcome it. Clariba — an independent, analytics consultancy based in Dubai — is named a finalist in the People and Culture of the Year Award category for the Gulf Capital SME Awards 2015. The awards are organised by MEED, which partnered with Gulf Capital four years ago as the headline sponsor, to recognise the UAE’s SMEs, business leaders and entrepreneurs for innovation, growth and success. As you may know, there are different workarounds to include dynamic maps in SAP BusinessObjects 4.1 Web Intelligence, such as using hyperlinks (i.e. Dashboards) or external API’s (i.e. google maps). In case that the reports have to be printed as they are, these options do not provide a solution because it’s necessary to embed an image and not a hyperlink in the document. Our solution consists in using empty cells and insert PNG images of the regions/countries as a background. Alex discovers Clariba can provide him massive career growth, exposure to new cultures, and more responsibility in larger types of customer projects. Being part of the Clariba team is for people like Alex who strive to perform as individuals, who share the company values, who integrate well into a team, and who thrive in an international, networked environment. Based on Clariba’s specific expertise and successful completion of all requirements of the SAP® Recognized Expertise Program, Clariba in Spain has been granted the SAP Recognized Expertise designation in Business Intelligence.